The Kriti Group became interested in the products made by this Spanish company thanks to the speech given by Lazpiur at the International Forging Congress in Berlin, where it was the only manufacturer in its category in the world to be invited. Lazpiur is expanding operations in India, where the company already works for other multinationals such as GKN Driveline. Lazpiur has gained a stronger foothold in the Asian market with the signing of a contract with the Kriti Group for the supply of forging tooling. This agreement with the Indian company strengthens Lazpiur's position as a global leader in the manufacture of standard tooling for all types of automatic presses, for cold, warm and hot forging alike. In fact, this expansion is partly due to the presence of Lazpiur at the International Forging Congress (IFC), held in Berlin in July last year. This Basque company was invited to speak there, and was the only representative in its category, at an international level. The speech presented, set out the latest machining trends for forging tooling. Lazpiur is a leading name in its sector due its wide range of products, including wear tooling (punches, dies, ejectors, drop forging tools, shear knives, etc.) 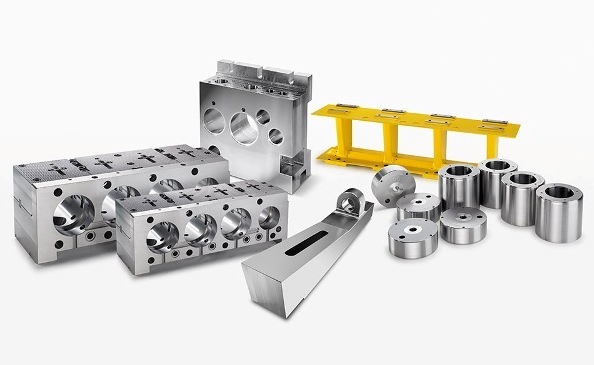 and also larger standard tooling such as wedges, blocks, holders and die plates. Thanks to the high technology of Lazpiur's products and to its extensive product range, the company is in a position to meet the requirements of the large multinationals in the automobile industry. The Company's customers include Mercedes, Volkswagen and Ford, in addition to Tier-1 customers such as GKN, Hirschvogel, FAG and the HAY Group. In India, Lazpiur was already working with a number of companies such as GKN Driveline, supplying wear tooling. Thanks to the new contract with Kriti Metal Forming Solutions, Lazpiur is now growing in this Asian country in the market of standard tooling, opening up a whole new opportunity for the future. Over the last few years, Lazpiur has been gaining an increasingly strong foothold in Asia. As well as India, the company also exports tooling to China, Thailand and other countries. The company, which marked its centenary last year, also produces forging tooling for the United States, Europe and South America. In addition to the tooling division, Lazpiur has another section for machinery manufacture, specifically focused on the automobile industry. In all, the company works for a total of 25 countries in four continents. Lazpiur's drive for innovation translates not only into the company's products but also into the purchase of state-of-the-art machinery, in order to offer alternatives for the machining of parts of this type. The company recently invested in a Machining Centre manufactured by the German company Hermle, making it possible for Lazpiur to move towards the automation of its machining products based on the manufacturing 4.0 concept, adding a whole new dimension to Lazpiur's business.